Whilst Spain conjures up images of mile upon mile of golden sand, there’s more to it than its beaches. Escape the resorts with a journey into the interior. Where ancient forests offer the chance to explore a country that’s greener than you first thought. Think of the Canary Islands and you imagine sipping lazily on a cocktail by the pool or getting some serious holiday reading done on the beach. Think again. 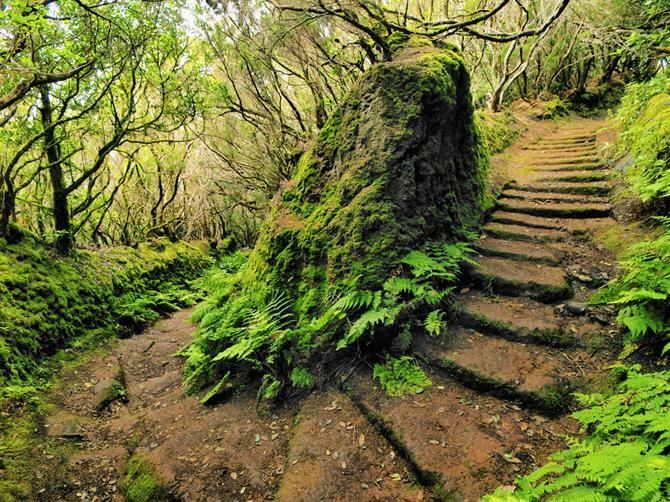 For a very different Canaries, head over to one of the least touristy islands, La Gomera. Here, you’ll find the Garajonay National Park. 70% of which is covered in laurel forest. And when the mist rolls in, there are few more magical places to be on Earth. Spain, how green are your valleys. 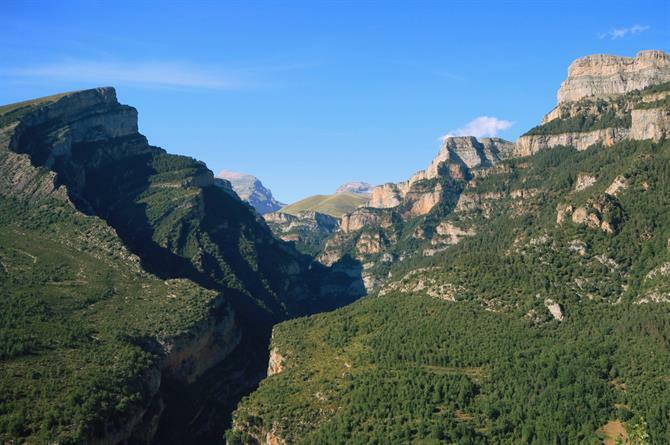 None more so than on the valley floor of the Ordesa and Monte Perdido National Park. 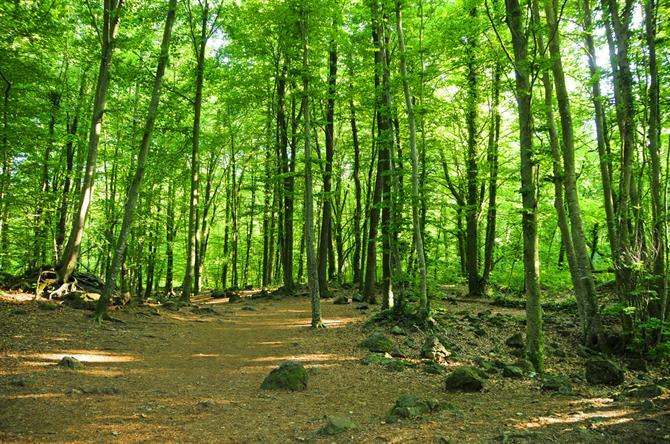 Where you’ll walk through forests made up of beech trees and silver firs in the Spanish Pyrenees. The 8-km wide, 2-km deep cauldron dominates the Caldera de Taburiente National Park. 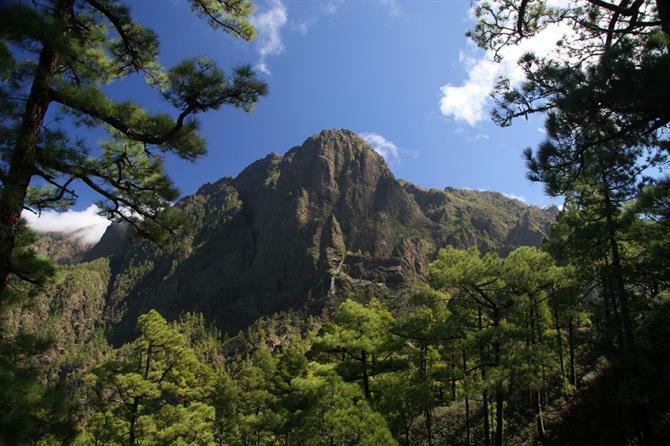 However, the rest of the park, which encompasses nearly 47km, features dense Canary Island pine forest. You’ll also find some juniper trees here. 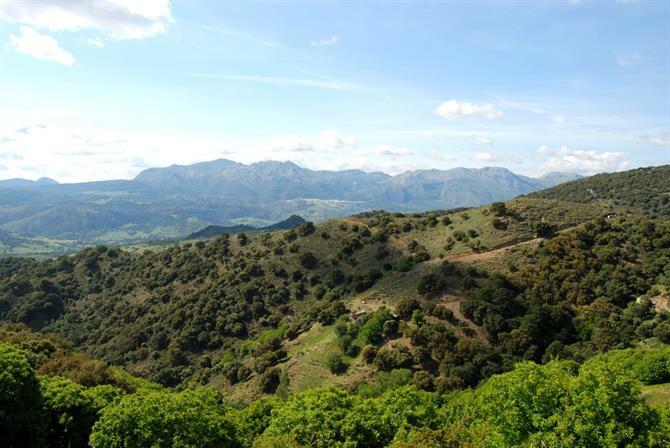 Overlooking Barcelona, you’ll find the mountainous Natural Park of the Serra de Collserola. Where mighty oaks from little acorns grow. Alongside aleppo pines which thrive in the balmy Mediterranean climate. 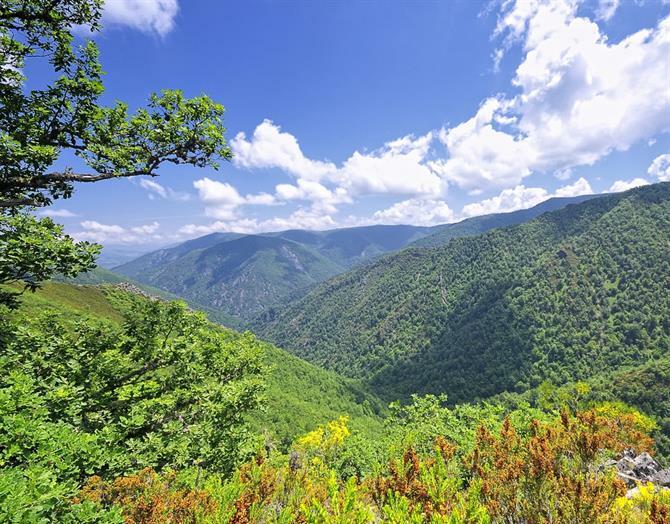 The fertile soil of La Garrotxa Volcanic Natural Park has resulted in both beech and oak forests. Which you’ll encounter if you take one of the 28 available walking routes. 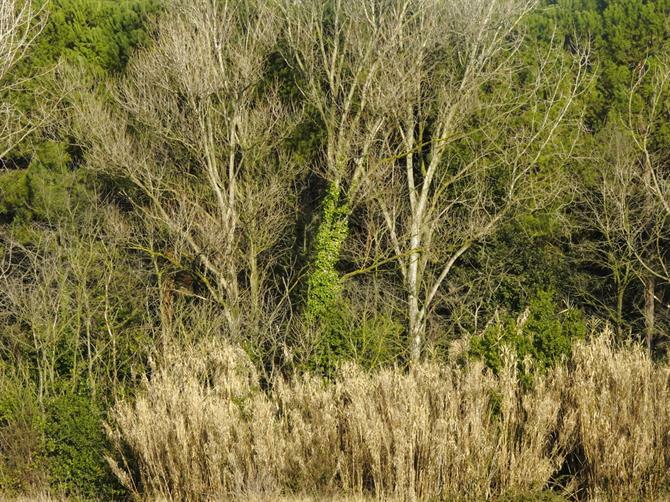 The former you’ll see at La Fageda d’en Jorda, a curious forest which features tossols, mounds which can grow up to 20 metres in height. You’ll also see plenty of beeches in Navarre’s Irati Forest, along with firs. Indeed its second only in size to the Black Forest as regards the largest beech and fir forests of Europe. Comprising, as it does, 17,000 hectares. It’s a mere 30-minute drive from Pamplona. Ah, the Costa de Sol. Blue sky, check. Sun, check. Pine trees, yes they’re here too. As you’ll notice if you take a walk along the Paseo de los Pinsapos above Estepona, home to the Spanish fir. Closer to the white hilltop villages of Algotocin and Gaucin, you’ll spot yew too. 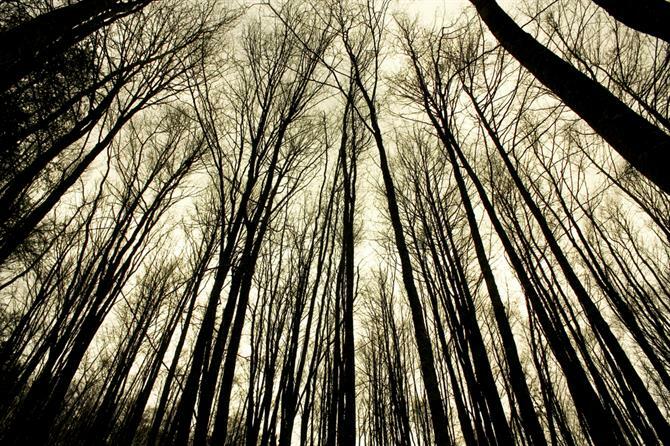 If you go down to these woods today, you might be in for a surprise. For whilst you’re unlikely to see picnicking teddy bears, you could well see real-life brown bears. 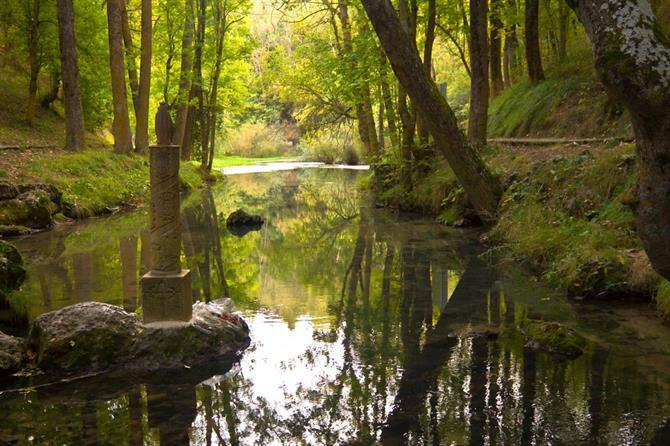 Even if you don’t, there are few more special places in Spain than this biosphere reserve. The north-east of Tenerife is a lot wetter than the arid south of the island where you’ll find the majority of its resorts. 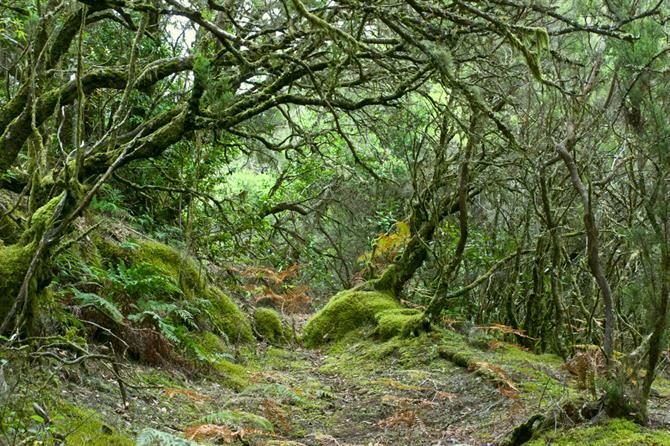 Which explains its status as one of the major laurel forests on the Canary Islands. Time seems to stand still in this area with the village of Chinamada, for example, famous for its cave houses. The province of Tarragona is home to the Ebro Delta, one of the biggest wetland areas in the western Mediterranean. Conifers crowd the lowlying forests. Indeed, so densely do they grow, they’ve had to be thinned in order to prevent forest fires.